It’s OK to indulge in rich, tasty goodness if it’s for a cause, right? 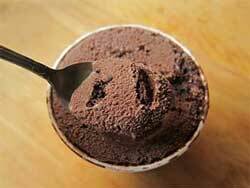 I’m just gonna say it so you’ll get on the same page with me: Ben & Jerry’s Chocolate Fudge Brownie Ice Cream! Are you there? 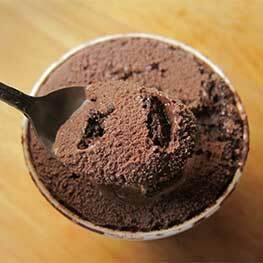 Did you just get a taste of fudgy smooth, cakey brownie with the cold sweet chocolate ice cream when you read it? Ben & Jerry’s Chocolate Fudge Brownie is just one of the ice cream flavors my family finds irresistible! It also seems to be irresistible to everyone’s waistline, which is part of the reason it only has a limited time in my household . . . If only we could figure out a way to make it have the nutritional qualities of quinoa [or insert name of latest superfood here]! One of the ways that I convince myself my indulgence is justified is to believe that every spoonful is actually helping others. 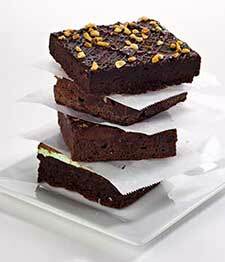 Ben & Jerry’s chocolate fudge brownies come from Greyston Bakery, one of the first Benefit Corporations in New York. A Benefit Corporation considers social and environmental needs along with the bottom line. While for-profit corporations don’t usually measure success of their business by their ability to change the lives of their employees, Greyston Bakery does. In 2012, the Bakery increased from 60 to 75 employees, all of whom are hired without respect to their prior work histories, which have included homelessness, poverty or ex-offenders. Click here to see the impact Greyston Bakery has made (and you might start eating more ice cream as a result). Greyston Bakery was quick to change from a traditional for-profit corporation to a Benefit Corporation because of Ben & Jerry’s prior experience. Back in 2000, Dutch conglomerate Unilever was bidding to purchase Ben & Jerry’s. The company’s founders, Ben Cohen and Jerry Greenfield, didn’t want to sell to Unilever. They had built the company with the mission of the “triple bottom line” — profits, people and planet. Ben and Jerry were worried that a Unilever-owned company would focus on profit only. They put together a group called Hot Fudge partners and made a counteroffer of $38/share, but Unilever offered $43.60. The duty of a board of company directors is to maximize profits for shareholders. While socially responsible activities can maximize profits in the long term, it doesn’t really apply in the bidding process. The directors of Ben and Jerry’s concluded if they had accepted the lower offer from Hot Fudge Partners, the shareholders could have filed suit — and probably won. Unilever acquired Ben & Jerry’s. Under Unilever, Ben and Jerry’s has continued much of its original mission, because it’s good for business. But this could change; there are no guarantees that responsible practices will continue after a sale. Back in 2000, Ben & Jerry’s didn’t have the option of the hybrid corporation. You may remember me talking about Texas recently making it possible for corporations to be able to straddle the line between profit and non-profit. (Click here for a refresher.) It’s the business equivalent of that quinoa/chocolate balance I was hoping for at the top of this post. What does a hybrid business look like? Say you want to lead a business, but you want that business to impact the world for the better. Maybe you hope your business will find outside investors to quickly grow to realize your dreams on an even grander scale than what is currently possible. A for-profit corporation that also serves a social or environmental purpose may be the answer. Depending on the state, these new hybrids have different names (and slight differences) like: benefit corporations, flexible purpose corporations, and social purpose corporations. Top Three Questions to Ask If a Hybrid Right for Your Business? 1. Does your business have a nexus (contacts) with a state that offers a hybrid corporation? Benefit Corporation in Arizona effective 12/01/2014; Arkansas; California; Colorado effective 04/01/2014; Delaware, Hawai’i, Illinois, Louisiana, Maryland, Massachusetts, Nevada, New Jersey, New York, Oregon, Pennsylvania, Rhode Island, South Carolina, Vermont, Virginia, and Washington, DC. Flexible Purpose Corporation in California. L3C (Low Profit Limited Liability Company) in Vermont, Michigan, Wyoming, Utah, Illinois, North Carolina, Louisiana, Maine and Rhode Island. Social Purpose Corporation in Texas and Washington. 2. 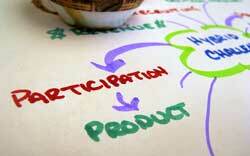 Does your business wish to have a dual purpose of for-profit and social/environmental purpose? Or does it work better for your for-profit business to donate and to work with an established non-profit instead? The hybrid does necessarily provide tax “benefit” of a tax deduction or tax exemption. A hybrid means the profits may be slower and in the long term. If a tax deduction and a quick bottom-line profit is of primary concern, then consider donating to an separate, established non-profit instead. 3. Is your business planning to have multiple shareholders/investors? Or is your company going to consist of you (or a very small number of like-minded people) where a shareholder suit is not likely? One of the biggest benefits to a hybrid is it relaxes the fiduciary duties of your board of directors to your shareholders. Click here for more on duties of a board of directors. If shareholders are of like-mind about your commitment to a social purpose, then you run little risk of a shareholder suit and you might be better off as a traditional for-profit and skip the potential extra reporting requirements of a hybrid. Interested in knowing more? I’m looking at the possibility of putting together a short seminar on this topic. Contact me to let me know if this is of interest to you. While I’m waiting for your response I’ll just be digging into some Ben & Jerry’s. The temperature just went up 3 degrees and this stuff isn’t gonna eat itself.